TALLINN - The board of the non-parliamentary Estonian United Left Party decided this week to appoint Nikolai Degtjarenko as the party's candidate for the position of prime minister for the March 3 general elections. "Estonia needs a strong prime minister. Juri Ratas has demonstrated that he is one of the most inept and uneducated prime ministers in Estonia's history," leader of the party Julia Sommer said, adding that Estonia needs strong educated leaders, who understand how the economy works. We have appointed Nikolai Degtjarenko, who holds a doctor's degree in philosophy and has proven his competence as an entrepreneur and local government leader, as our prime ministerial candidate, Sommer said. Degtjarenko said that Estonia cannot continue on the economic path the current prime minister's Center Party has chosen. "Outrageous price increases, grave mistakes in the economic policy, ruining pensioners and the immense damage Juri Ratas has done to Estonia's economic and financial policy as a whole must be terminated quickly," Degtjarenko said, adding that Estonia needs a new competent government, one that would stand up for the interests of working people. 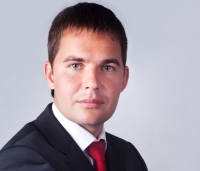 Degtjarenko is an entrepreneur and served as the deputy elder for the Mustamae district of Tallinn from 2008 to 2010. He holds a doctor's degree in philosophy from the the Saint Petersburg University of Economics.